Animal Fest 2018 will be Saturday, October 13th, 2018 from 11:00am to 3:00pm in Honor Heights Park. All dogs must be up to date on their shots and be on a leash. Dogs must be friendly to people and other dogs so no one or dog gets injured. The Mountain Grove Blue Grass Band and other entertainment will be there during the event. Pet contests for Best Trick and Cutest. Pets can also wear costumes. Safari Sanctuary Zoo they brought great animals in 2017 and it was totally enjoyed and appreciated by us all.... Well they are coming again this year so you must come and enjoy it was so much fun. 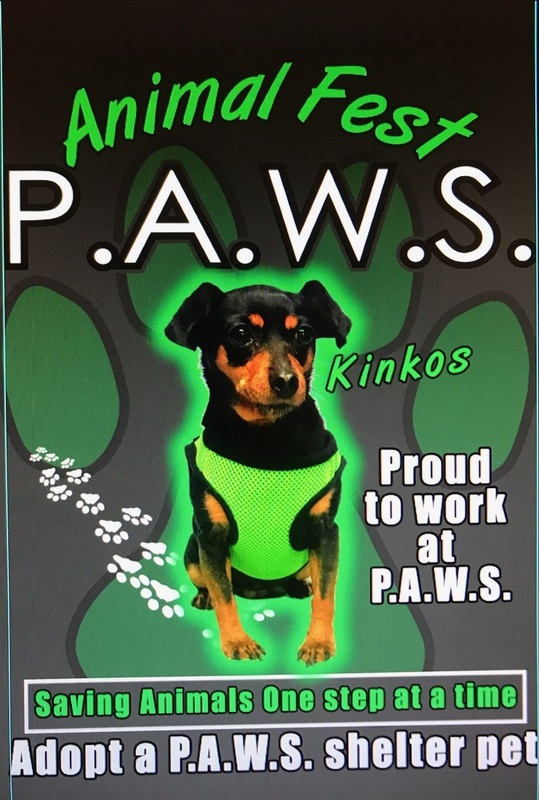 PAWS new Animal Fest Tshirt will be on sale, Raffle tickets can be bought now at PAWS shelter or you can buy them at the event for great prizes that have been donated. There will be wonderful Homemade Bake Goods for sale thanks to Patsy Rodin and Ranae Bumgarner. They are always delicious !!!!! This is our yearly fundraiser. We hope to see a lot of people there to support PAWS....we hope the community supports us. Bring dogs you've adopted from PAWS and have fun with them. We've served the community and surrounding area for 26 years and helped find homes for many hundreds of pets: dogs, cats, ferrets, birds, lizards, pot bellied pigs, rabbits and horses.